RIPL and the Italian multinational technology company, TeamSystems s.P.a on 8th Dec 2017 joined hands to promote the STR vision CPM software in India. RIPL took initiative to bring this state-of-art solutions to India which is very effective tool for 4D and 5D BIM phases . RIPL intention is to provide the complete solution to BIM industry by adding STR vision in addition to Archicad software which is used for 3D BIM. 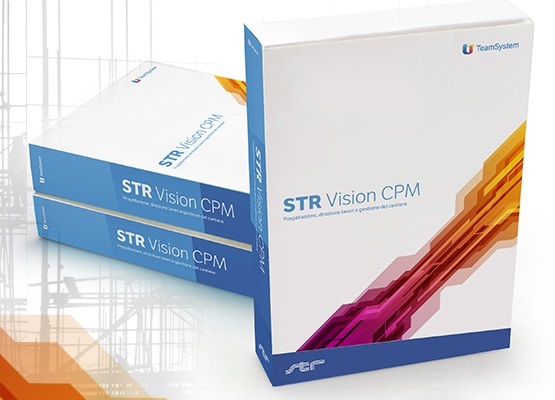 STR Vision CPM (Construction Project Management) is a powerful and flexible software designed and developed by AEC Specialists. It allows professionals and companies to manage bidding, planning and execution with specific functionalities such as cost estimation, quantity takeoff, project planning and cost control; Find out how to manage efficently price lists, materials, trucks, equipment people on site with the advanced BIM features for 4D and 5D (scheduling and control).